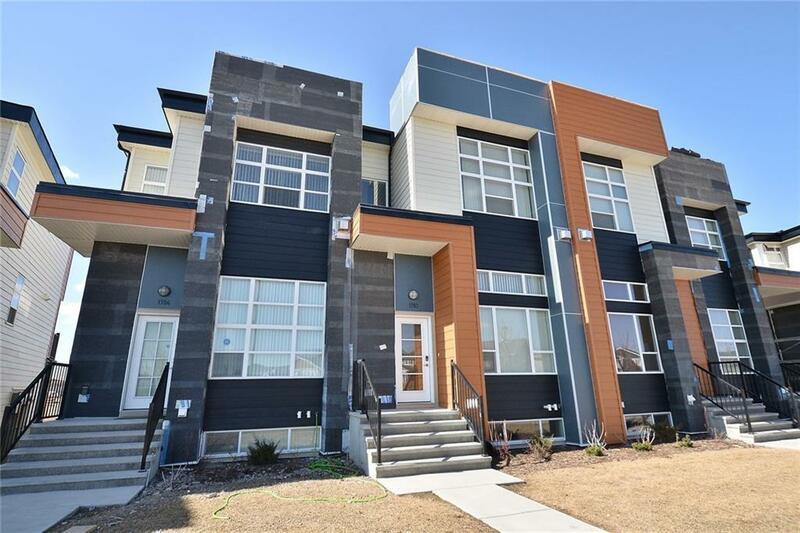 Open House Noon-2:30PM Sat April 20, 2019 & 2-4PM Sun April 21, 2019. 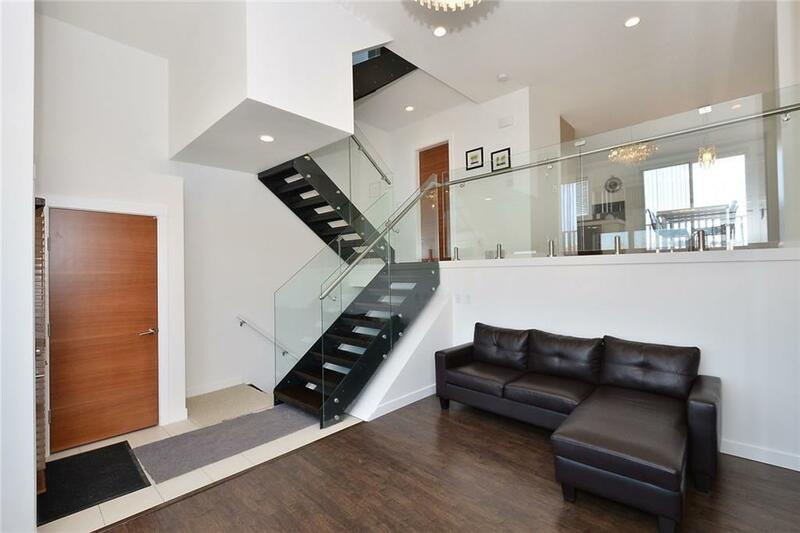 Modern, slick and rare used 3bed 2.5bath townhome with central air-conditioning system right across the street from green space and pathways along the canals in Bayside. Well upgraded Rivairo features stunning architecture and modern design! 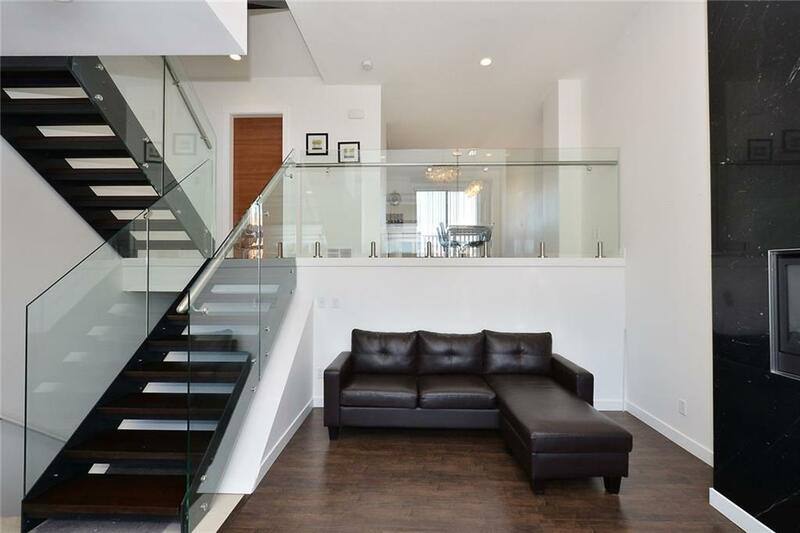 A wall of windows in this open concept allows natural light to flood throughout. 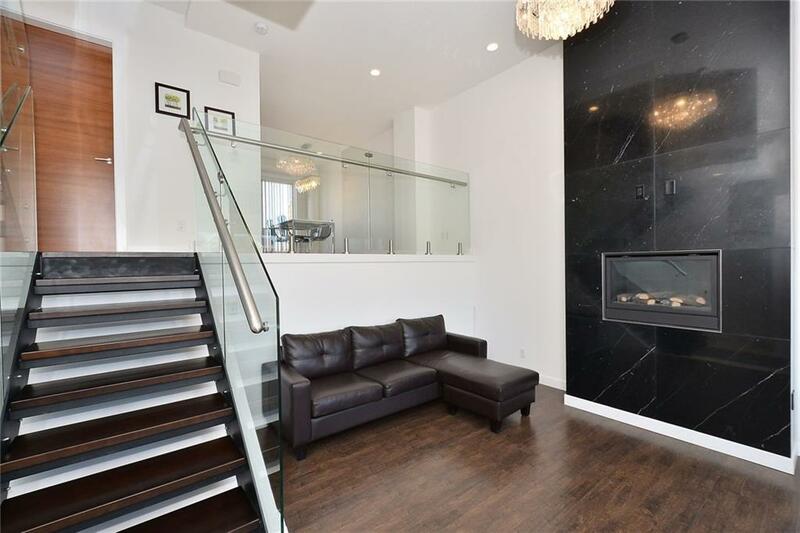 A floor to ceiling marble fireplace feature creates a striking focal point as you enter the main living space of 14 ceilings featuring rich hand scraped laminate carrying through the unit. The modern kitchen with stainless appliances, quartz counters and rich cabinetry with soft close drawers will be the heart of home. Patio doors open onto a large West facing rear composite deck with gas hook-up. Upstairs you'll love 9 ceilings, upper laundry, large master bedroom with ensuite, 2 more bedrooms and 4 pc bath complete the upper floor. Close to schools, daycare, transit, parks, and shopping.